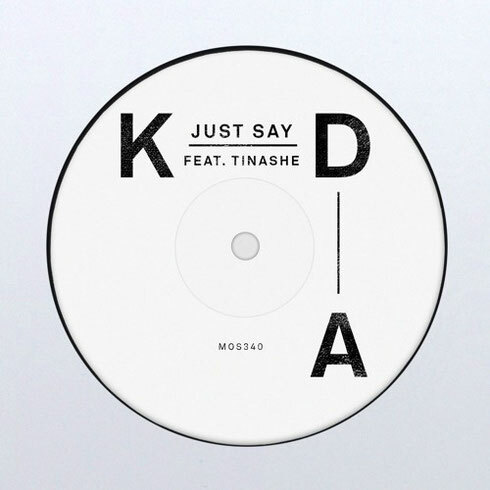 ‘Just Say’, the club track from UK producer KDA and US R&B star Tinashe recently got its official video. The video stars Tinashe in a solo dance routine, set to the backdrop of a surrealist Lynchian Los Angeles motel. The video was directed by photographer and two-time MTV VMA nominated director Sarah McColgan who has worked with Usher, Miguel, Aloe Blacc, Wale and Kelly Rowland among others, and shot Tinashe for her cover of Complex Magazine earlier in the year. Unveiled in July via The Fader in the US and Annie Mac on BBC Radio 1, ‘Just Say’ has surpassed three million streams on Spotify. At radio, it was recently BBC Radio 1’s ‘Track Of The Day’, and one of the top five most played tracks on the station, as well as being on the BBC 1Xtra B-list, and receiving huge specialist support from Kiss FM, Capital FM and Rinse FM. In the club world it shot to #1 in the Cool Cuts chart and been championed by DJs across the board, including Cassius, Todd Edwards, Monki, B Traits and Horse Meat Disco. Written and produced by KDA, ‘Just Say’ follows his debut single ‘Turn The Music Louder (Rumble)’ which entered the UK charts at #1 and included remixes from Dense & Pika and Armand Van Helden. The summer has seen KDA, the London-based DJ, producer and multi-instrumentalist, play a run of shows from Fabric in London to Ushuaia in Ibiza then Creamfields, with a secret pop up performance at DC10. He also played an exclusive live set for ‘Dance Anthems’ during BBC Radio 1’s Ibiza Weekend, and has previously held a radio show on Rinse FM. He’s also remixed the likes of Chvrches, London Grammar, Waterson and Jodie Abacus, and is currently working on his debut album, which is expected in 2017. Tinashe released her debut album ‘Aquarius’ in 2014, featuring the single ‘2 On’ and has since released a string of singles including the Ivor Novello-winning collaboration with Snakehips 'All My Friends'. Her appearance on ‘Just Say’ comes ahead of her second album ‘Joyride’.